HIGHEST GLOSS TIRE SHINE: Synthetic polymer chemistry delivers Meguiar's highest gloss tire shine! 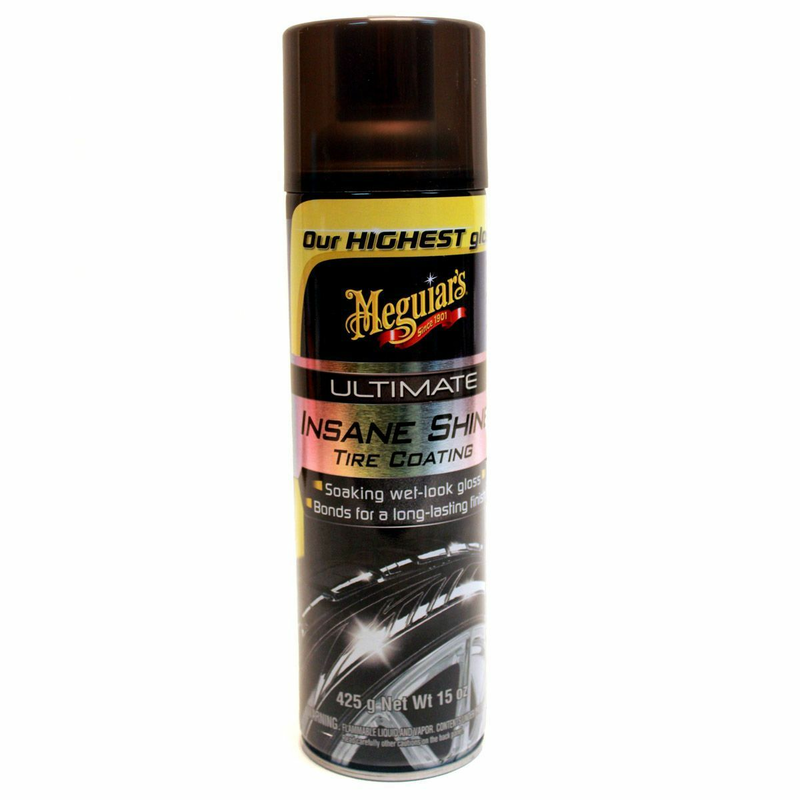 Meguiar's Ultimate Insane Shine Tire Coating is the highest gloss tire shine Meguiar's has to offer. With advanced synthetic polymer chemistry this premium aerosol tire shine delivers extreme, attention-grabbing depth with amazing shine and gloss. You won't believe your eyes as tires will appear like they are actually wet! Our exclusive formula also contains enhanced resin technology producing an amazing bond for a long-lasting finish. Anti-ozonants protect tires against cracking and fading over time while the self-spreading formula is easy to work with reducing streaks and runs. 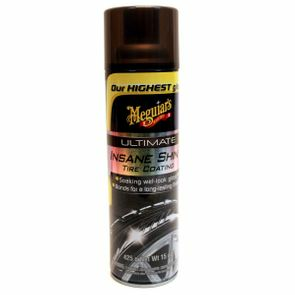 So, if you are looking for a tire coating that offers protection, is easy to use and with a shine that looks like it's soaking wet, Meguiar's Ultimate Insane Shine Tire Coating is for you.